We think changing the world is an extreme sport. Sometimes to change the world you have to change the rules - so we did. And our alternative point system reflect the many ways we all can play for a better world. To qualify to play in a GGWcup the team have to choose one of the 17 UN Global Goals to play for - and after each game four points are given: 1 point for style, 1 for action, 1 for most scores goals and 1 for best crowd engagement. And to win a GGWCup you have to be both the most sensational and the most creative activists and football players combined. So far more than 20,000 actions have been taken, and some have even changed laws. Team Spectacular 8 played at GGWCup Dubai 2018! for Goal 14: Life Below Water. 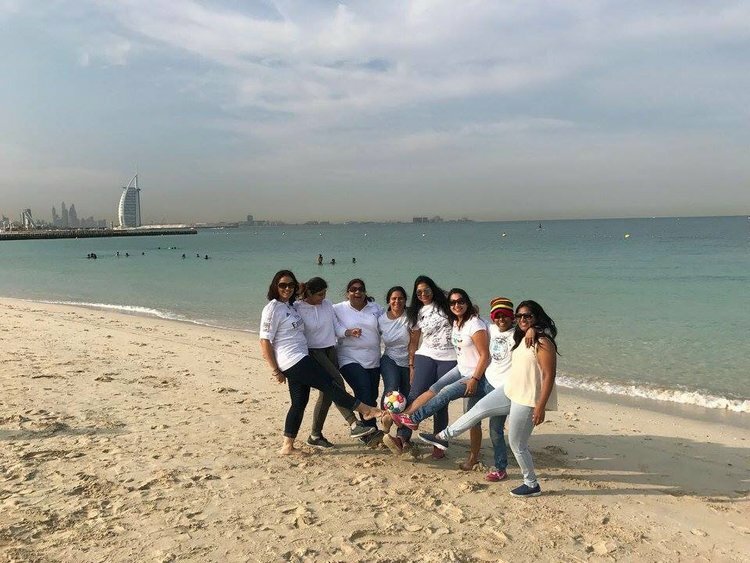 We were blown away by Spectacular 8’s beach cleaning efforts in which they collected more than 120,000 cigarette buts and over 60 kg of plastic waste with the help of volunteers. 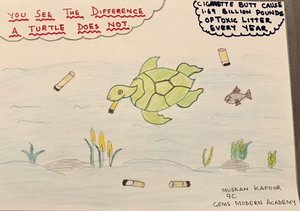 We were especially impressed by Gina Fernandez’ creative use of the cigarette butts to create a sculpture of an endangered turtle named Tilly! The awareness campaign ended up getting the government to impose fines. 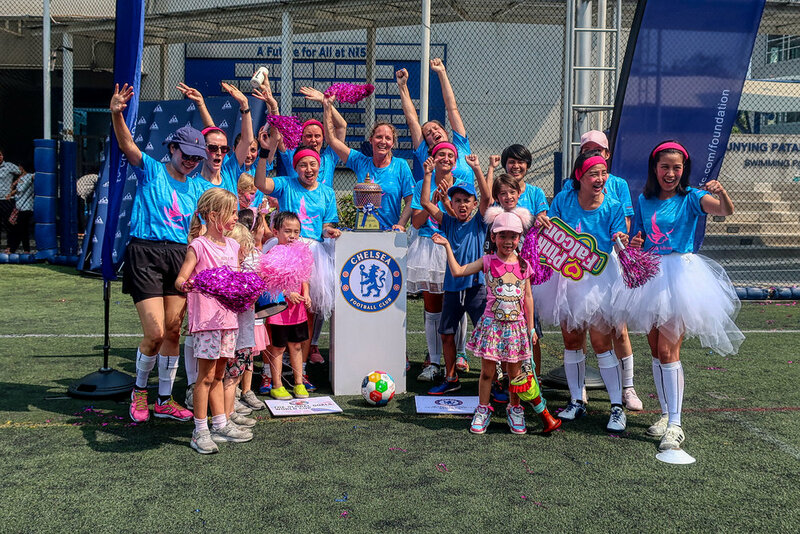 Pink Falcons has played at not just one, but two GGWCup Tournament’s in Bangkok for Goal 13: Climate Action. The team is made up of mothers and leaders from NIST International School, fighting for a better future for the next generation. 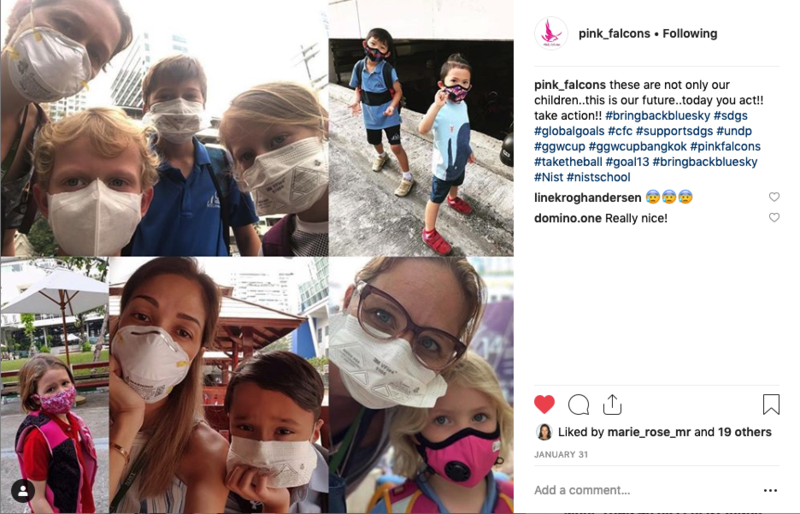 With their campaign to #bringblackbluesky, Pink Falcon’s absolutely took over social media, as team members shared their everyday actions to fight climate change! But the action didn’t end there, as Pink Falcon’s organized a spectacular Green Wall at NIST with the help of children from the school in order to spread their message for a more sustainable future. Follow the action on Instagram: @pink_falcons. Bike Spice Your Life wowed the crowds at our first ever GGWCup in CPH back in 2016 with their bike inspired routine! We loved their unique style and funky moves encouraging us all to bike spice our lives to support Goal 13: Climate Action. There are approximately 560,000 bikes in the city of Copenhagen (more than people! ), the location of our GGWCup Europe on May 14th! In 2016 number of cyclist crossing the city centre of Copenhagen exceeded the number of cars. 75 % of bicycle traffic continues throughout winter. … more fact on Cycling Embassy of Denmark. Team SanScar! is a fierce team that played for Global Goal 5 and gender equality with a loud and clear message at the GGWCup Mumbai 2019: Anything you can do, I can do bleeding. More about the team here and Instagram. From GGWCup Final New York 2018. San Diego Soccer Women played with a mission at our GGWCup Final in New York in 2018: to reduce inequality in opportunities for mature women to participate in sport. Each player and teammate benefits from this movement by feeling the pride of being an adult athlete. Some of their major actions included: creating a short video of soccer women age 65+ at the San Diego Senior Games and distributed it to news media in Australia, the US and the UK; joining the FARE Network, which promotes anti-discrimination practices for soccer leagues worldwide; contacting the Canadian Senior Games Association about adding age 55+ women's soccer to their sports for 2019. See all the team’s actions before the GGWCup Finals in New York, and follow the San Diego Soccer Women on Instagram. Will you join this action hall of fame at GGWCup Europe in Copenhagen on May 14th?! We want to see you show off your biggest and baddest actions at our first ever GGWCup Europe. We want to celebrate YOUR sustainable solutions and innovative ideas, so bring it on! All women are pre-qualified to play in the world’s first activist football tournament. Get ready to play here.